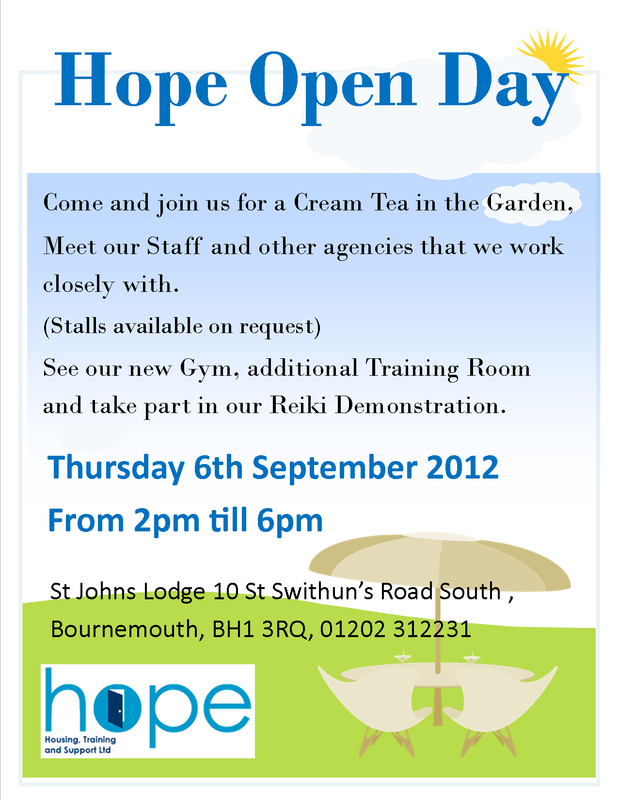 Hope Housing, Training and Support Open Day! We are holding an open day on the 6th of September. If you would like to come, please feel free. Please click to view the full size poster.